How you can increase your brand value by getting placements in key retailers like Total Wine, Binny's Beverage Depot, Whole Foods Market, Costco and More. The most successful retailers create a strategy that is so different and compelling that it renders competitors irrelevant and they are written up in major business magazines for how well they implement that strategy in such a way that core customers are bonded and the competitors find it hard to copy. Innovative offerings from a variety of industries have attempted to create niches that were protected from competition. Brands such Cabelas, L.L. Bean, REI, Walmart, Gap, Bath & Body Works, Total Wine, Tokyo Hands, IKEA, H.E.B., Binny’s Beverage Depot, Enterprise Rent-A-Car, Best Buy Geek Squad, Haute, Costco, Whole Foods Market, Zappo’s, Subway (its low fat menu), Apple, Amazon Store, Earth Fare, Patagonia, and 99 cent stores, and dozens of others have been able to maintain a distinctive offering that attracts an extremely loyal customer base. How? Are there any common characteristics that these brands share? Although each is different with respect to strategy and context, it is possible to observe some factors that are associated with successful new retail strategies. Not all are always present but there are cases in which the absence of even one can be fatal. The resulting eight guidelines are meant to be provocative. Firms with successful new retail strategies tend to have a strong vision that connects to a core customer group. There is clarity around the offering, the identity of the target group, and the value proposition. All the brands noted above certainly have this quality. Enterprise-Rent-A-Car, for example, focused on the need to support the car repair industry with rental cars, which implies outlets spread throughout a city rather than having an airport focus, a system tied to insurance companies and repair shops, and an ability to deliver cars to users. Tokyo Hands is a one-stop store for the hands-on customer who wants the stimulation of a puzzle, a woodworking product, or a decorating challenge. 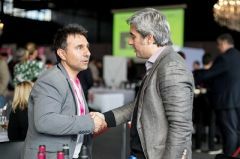 There is a theory in marketing that if you connect with a core segment, as long as it is of reasonable size, you will tend to have not only a sales base but a clear message and a set of nodes that can communicate and advocate for your strategy. A clear vision makes that connection. Most successful new retail strategies evolve over time, especially during the early days. They do not arrive out-of-the-box but benefit from changes which can be refinements or major changes in the vision. IKEA, Zappos.com, Best Buy, L.L. Bean, Whole Foods Market and Earth Fare all started small in scope and ambition and expanded the vision as they got traction and found things that worked. IKEA discovered outsourcing assembly to customers when an employee had to remove the legs for a table to get it in a car. Zappo's changed from assortment to serve as the key value proposition. Best Buy’s policy of serving customer rather than selling components were implemented over time. Subway, the enormously successful sandwich chain, refined the strategy over five years when it was still a single storefront. Retailers have a unique ability to experiment, try out many strategies with modest investments, and wait until one hit. The Limited tried out many strategies within an existing store and created chains such as Bath and Body Works and Structure out of those that showed promise. With different locations, experiments are doable not only to refine the strategy but to tweak it, keeping it fresh and ahead of the competition. The main reason that new retailing strategies fail may be executed. The successful ones have been able to execute. That means they have been able to deliver the value proposition consistently and profitably. The fast fashion pioneers, Gap and Haute, developed systems to conceive, create, make, and deliver products on a real-time basis. Whole Foods Markets has the ability to source and handle organic foods. IKEA has footprints, a presentation system, and a customer-assembly offering they can deliver behind that would be almost impossible to duplicate. Excellence in execution means that needed resources in the form of people and capital have been accessed and that capabilities and process have been put in place. The result is formidable barriers to competitors. In part, because retail execution involves service and unique offerings, it is hard to maintain excellence over time. It is too easy to see the offering decline or become fuzzy. The successful new retail strategies are almost always accompanied by extraordinarily strong culture and values that provide energy and direction in the early years and support the vision and its execution as the business matures. Zappos.com has been guided by ten values which include delivering "Wow" service, being a bit weird and acting humble. Best Buy’s Geek squad is about fun, humour and taking the stress out of dealing with computers and entertainment systems. A vision-driven organizational culture has enormous power to make the strategy succeed. Because the culture involves values, programs and leadership, it is hard to copy. Most of these successful new retail strategies have gone beyond functional benefits to deliver emotional or self-expressive benefits. 99 cent stores, one of California’s top growth retailers, is the no-brand brand and is all about simplicity, natural, moderation, humility, calmness and self-restraint. 99 cent stores is anti-glitz and deliver self-expressive benefit to those that are beyond buying badge brands, (beer and wine have been added recently) and have the right values about sustainability. Whole Foods Market is a way to express a love of food using natural and organic ingredients. Developing a new strategy is hard enough with the wind at your back. Many of the new retain strategies benefited from a market force often based on a visible and meaningful unmet need. There was an opportunity. The Geek Squad and the Apple Store captured the unmet need to avoid the frustration of installing, using and maintaining computer and entertainment systems. Tokyo Hands addressed the need for a do-it-yourself segment to have a one-stop store that supports that desire. Many firms saw a trend emerge after they had gotten traction and were poised to grow. Whole Foods Market saw a growing interest in organic and natural foods when they were established and it was late for others to climb on the bandwagon from a brand and capabilities view. REI benefited from an interest in sustainability and an environmental passion that flows through its corporate mission and its brands. A successful retail strategy needs to scale. Expanding the footprint is difficult because it is costly, because it can involve adapting to a business with added complexity, and because a good strategy is visible and others can run with it in different geographies. Several, such as Whole Foods Market, have scaled by buying like-minded companies with local strength. Others, such a Subway, have used a franchising model. Most have used a combination of cash flow streams and external financing to expand. In any case, there has to be a proven model to scale. It is remarkable how many of the successful new strategies incorporate social or environmental programs into their offering. They, of course, have the advantage of creating a brand rather than adapting an established brand and thus can credibly build this dimension into it. 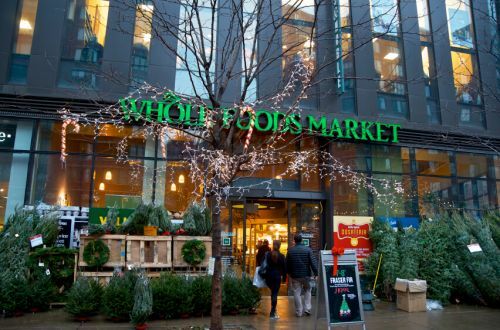 Whole Foods and Earth Fare Stores have broken through with visible substance and are seen as sharing the values, interests, and even the lifestyles of an important customer segment. REI and Patagonia are all about environmental sensitivity in their offerings and, in addition, they developed a set of three large campgrounds that allow people to enjoy nature that is undisturbed. Best Buy’s "Greener Together" program implements their programs around recycling and sustainability. The tagline "Whole Foods, Whole People, Whole Planet" reflects the many programs at Whole Foods Market such as using farmed seafood standards, wind power for an energy source, and reusable grocery bags. Many have Facebook, Twitter, and multiple websites for consumers to give them immediate feedback on their brands, their advertising, their promotions, their service and their facilities. There is nothing better than the shopper to give the retailer their input on how to better their shopping experience. The consumer is “king” and will always be the main focus of successful retailers. They will constantly update their strategies when competitors copy them or “one up them.” Many retailers successful have superb retail intelligence. The retail industry is ferociously competitive. With high volumes and constant price visibility, competitors are continuously on the lookout for the smallest of advantages against each other. Retailers are stretched on multiple fronts. Pushing to develop innovation in their own product lines; fighting for new geographical and online territory; and slashing costs along their supply chains. Customer demand for value has pushed competitors to monitor each other’s offerings with an intensity that no other industry can match. And the current climate of austerity has made life more difficult for all retailers to gain a competitive advantage. Many retailers have their employees volunteer to assist with the children activities, local sporting events, help with tenderly. Many business owners offer their expertise in business which is useful to nonprofit institutions. Some retailers conduct an internal donations race by establishing different teams to compete for cash prizes that go toward a worthy cause. This method works in two ways: it instills teamwork in their staff, and it gives their employees a sense of responsibility for the less fortunate in the community. Another way successful retailers make donations is for a worthy cause by setting aside a certain percentage of each sale to go to an organization of their choice. This can be done on a regular basis. Alternatively, they can make donations to a single organization or various organizations in a given year. They may also consider making a collection box available to take donations from customers in the form of money, food, or clothing items. Many of these factors, while not unique to retailing, have a higher incidence in this category. Few other categories have as many opportunities to test, learn and evolve as retail. Further, retailers have so many variables with which to work, including location, ambience, selection, visible policies and customer interaction. Well, the key to increasing your brand’s value at Total Wine, Costco, Whole Foods, Binny’s Beverage Depot, Earth Fare and many others is offering exceptional service to these “best” customers. This means timely deliveries to eliminate out-of-stocks, weekend merchandising to match supply to retail demand and reduce backroom inventory, recommending new ColdBox and warm shelf merchandising techniques, providing in-store tastings (where legal), training floor managers on new products and new packages, using accelerated category management techniques to eliminate slow-moving items, providing environmentally-friendly retail displays and managing floor space for long-term profits. How to Position Your Products for Success? 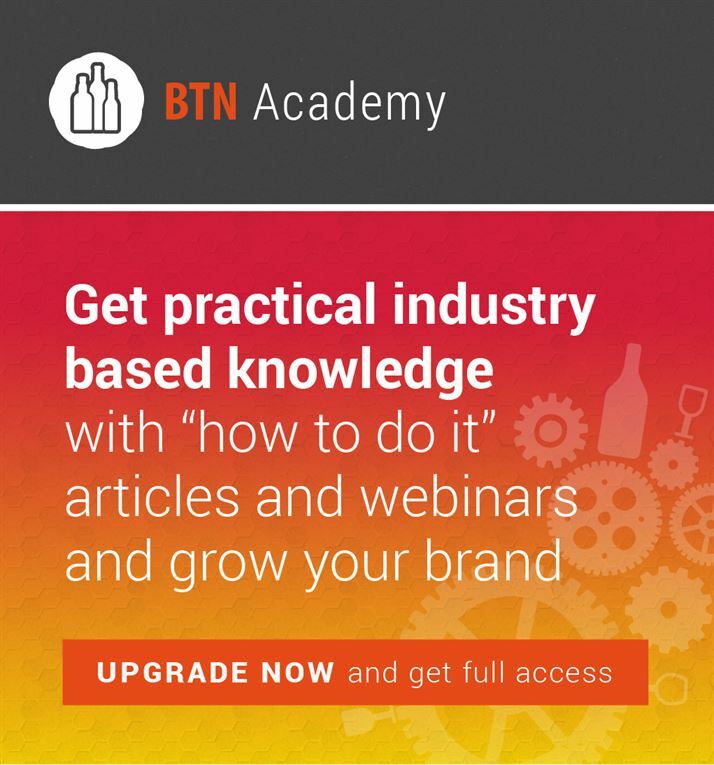 Not a BTN Member yet? BTN takes a look at how beverage brands can expand their distribution to the high seas. 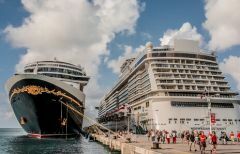 Work with a distributor or land a cruise line contract directly and you’ll enjoy a piece of a multi-million dollar floating beverage industry. 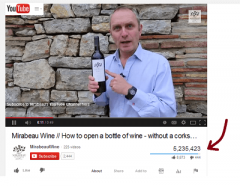 Real Tactics and Real Tips on How to Capitalize on Social Media and Increase Your Winery's Brand Recognition. Check It Out. 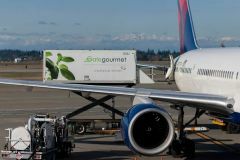 BTN interviews Master Sommelier & Delta Air Lines wine consultant Andrea Robinson on what it takes to get your wines featured on-board commercial airlines.